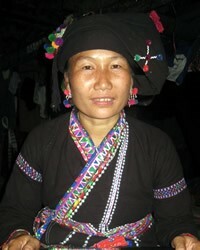 The Tai Lue are part of the official Dai nationality in China. Although the name "Tai" is said with a "t" sound, the Chinese pronounce it as "Dai." One early missionary described them in unflattering terms: "The Lu impressed me as less civilized as any Tai people I had ever met. They are less polite and deferential, more talkative, even rude in their manners. But they are less timid, more sturdy, more hospitable, more receptive." The Tai Lue possess an ancient script, still used by Buddhists in the region. This profile refers to the Shui (Water) Dai in China who speak a different language from the Han Tai and Huayao Tai. By the ninth century AD, the Tai Lue had a well-developed agricultural system. They used oxen and elephants to till the land and constructed extensive irrigation systems. Each year the Tai Lue celebrate the Songkran Festival, when people splash water over each other, symbolizing the cleansing of sin from the previous year and a fresh start for the new year. The Tai Lue are Theravada Buddhists. They believe that if they live good lives they will be reborn into a higher social position, but if they are wicked they will come back as degraded animals. At certain times the Tai Lue pay homage to the spirits of those who have contributed greatly to the well-being of their descendants. "Sacrifices are offered to the spirits [and] the village is shut in on itself; all roads and tracks giving access to the community are blocked with barricades of trees and branches the whole village is encircled with ropes made of straw or a line of white cotton thread, to represent symbolically an encircling wall preventing entry or exit. No outsiders of any description, not even monks or members of the elite ruling class, are permitted to attend these rites." Not just physical barriers but also spiritual blockages exist among the Tai Lue. They have proven to be relatively resistant to the gospel. Presbyterian missionary Daniel McGilvary and his coworkers first ventured into Tai Lue territory in 1893 - riding elephants north from their base in Chiang Mai, northern Thailand - and shared the Gospel wherever they went. The first Tai Lue church was formed in the early 1920s. Persecution against the new believers forced them to construct their own village, Bannalee, which remains Christian today. The Tai Lue New Testament was first translated in 1933 and reprinted in 1992 and 1996 for Tai Lue believers in China and Myanmar. View Tai Lue in all countries. Location in Country: More than 600,000 Tai Lu live in Xishuangbanna Prefecture in the extreme southwestern corner of China. Researchers vary on the population of the Tai Lu, with estimates ranging from 250,000 to 770,000. 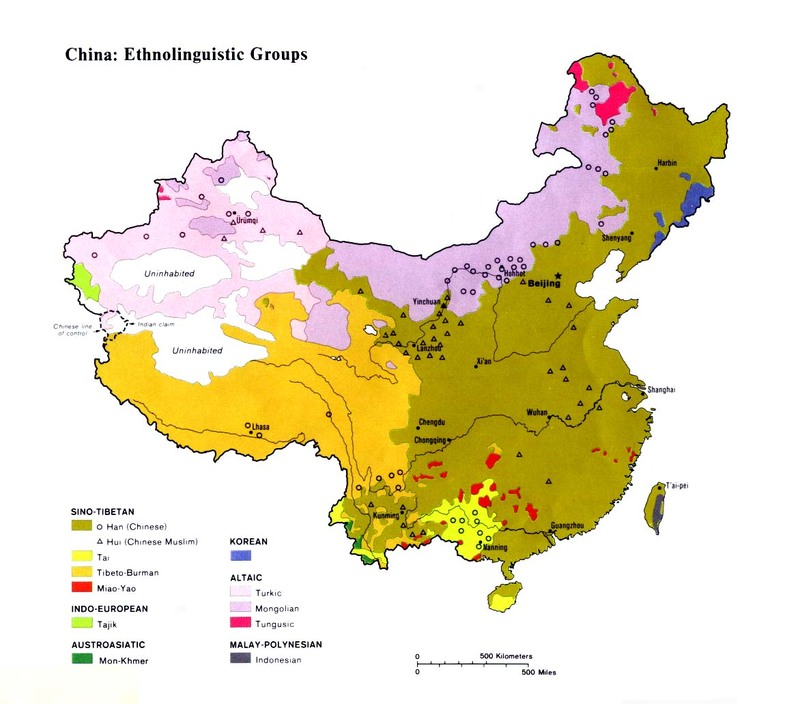 Because Tai Lu varieties are spoken in a diverse area, population estimates are especially precarious. Xishuangbanna is a transliteration of the Tai name, Sip-Song-Pan-Na, which means "twelve thousand rice fields." 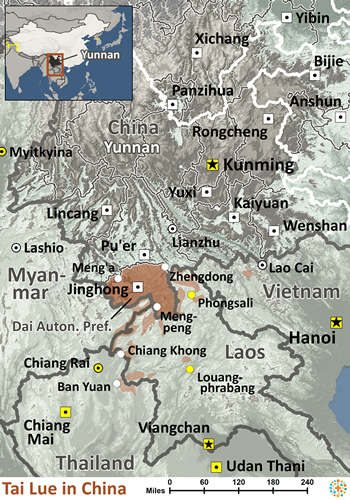 The Tai Lu are also located throughout Laos, Vietnam, Thailand, and Myanmar. Massive deforestation and a rapid population growth have virtually destroyed the ecology of Xishuangbanna.